How to Increase Your CIBIL Score? Increase or?Improve?your CIBIL Score / Rating? Rule 3: Escape from Being ?Credit Hungry? Apart from your income, your credit worthiness is the single most important tool considered by Loan providers while evaluating your application for any type of loan. Thus, it becomes utmost important to understand how does your Credit Information Report (CIBIL ? Credit Information Bureau India Limited) works and how to improve a bad credit history to increase your credit worthiness. 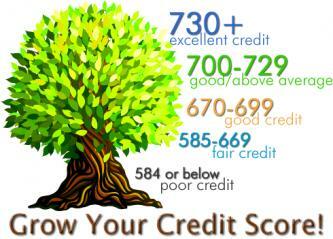 It is generally accepted that a credit score more than 730 is good and educes assurance and trust from banks. First and foremost Rule is to pay your bills and all outstanding like home loan EMI, car loan EMI, credit card payment on time. Every time you miss the payment date, the information of your default is updated by your banks to CIBIL and which makes your CIBIL score uglier every time. It?s always so alluring to pay the minimum balance of your credit card and pay the remaining balance later on but neither does this practice save you from interest nor does it stop your banks from updating your default payment in CIBIL. Always try to pay your bills one or two days before the due date if you pay through online medium but in case you use cheque to pay your? bills than try to drop it a week earlier so even in case of any holiday or sudden shut down of banking operations you will remain safe. Never go using your entire credit limit, try to minimize it and restrict it to 50% of your limit. For example say you have credit limit of Rs.3 lacs, so keep your usage upto 50% i.e. Rs. 1.5 lakhs instead of fully saturate the whole credit limit. This may be viewed negatively by a Loan provider. Even you pay all your dues on time but utilize full credit limit, the CIBIL score might get affected adversely. In case you hold more than one credit card than use the credit cards simultaneously. Using one card to fullest and second to none does not seems to be a bonafide practice. Making many applications for loan either for car, home, marriage etc. in a short span of time or shortly after you have been sanctioned a new credit loan, likely to draw attention of a Loan provider to view your all further applications with caution, treating you as ?Credit Hungry?. Since your debt burden is likely to increase, your chances of getting additional debts reduce. There was a time when people used to keep more and more credit cards just to show off how rich s/he is but that was past, because that time banks did not issue credit cards of much higher limit. But today it is highly suggested that rather having 5 or 6 cards having credit limits of Rs. 20,000 each, get one card having limit of Rs.1 lacs. This way you would be standing on equal credit limit but with less number of worries to remember the due date of payment of each credit card. The same practice can be used with loans having one larger loans is considered much better than having number of small loans. Approach the bank and give details on all these loans and you can transfer the balance outstanding. This rule can be well understood by sneaking in personal life, purity of relationship cannot be judged in a short term, one need a considerable time to know how much the other person can be trusted. Same goes with your credit history, taking short term loan in regular interval and repaying them does not enhance your credit limit. If you are in need than take a 5 or more year loan and then repay it without fail. This will increase your CIBIL rating and also your credit worthiness in the eyes of bankers. Ever had any disputes with banker?? Many of us had or still have. Don?t opt settlement path in this case because such settled loan accounts spoil your credit score. Better site with the bank and try to solve it harmoniously. Be open to disagreements and face the weaker links in the dispute. This is not easy in case your friend approach you to be his guarantor and you know that he is at present indebted to you. But keep in mind that if he defaults on payment you are held liable and your score will go down. Don?t do it, unless you are really sure you want to do it. Increasing or improving your bad CIBIL score is a slow process that takes about 8-12 months to start reflecting in your CIBIL report if you religiously follow the steps I have mentioned in this article. And after about 8 months, check your CIBIL report first before applying for any loans or credit card. You will be able to see the difference yourself. Lovely blog. In today’s world your credit score has become a very important aspect of your life. All the credit based accounts revolves around your credit score. So unless and until you don’t have a healthy score of 750 and above its difficult to get a loan at a desired rate of interest with your chosen bank. It is always advisable to check your credit score first and then proceed to next level. Also, it is wise to check your credit period thrice a year so that you are aware what activities are carried out and whether all the payments are reflecting or not.